Because mindfulness is an experiential set of skills, teachers learn how to practice mindfulness before bringing it into their classrooms. Our first objective is to help teachers establish this essential foundation. Mindfulness: An 8-Week Plan for Finding Peace in a Frantic World by Mark Williams and Danny Penman serves as a framework for practice, reflection, and discussion. Each weekly class is organized around a theme that is explored through inquiry and guided exercises. Between sessions, participants use guided audio meditations to support the development of mindfulness skills. 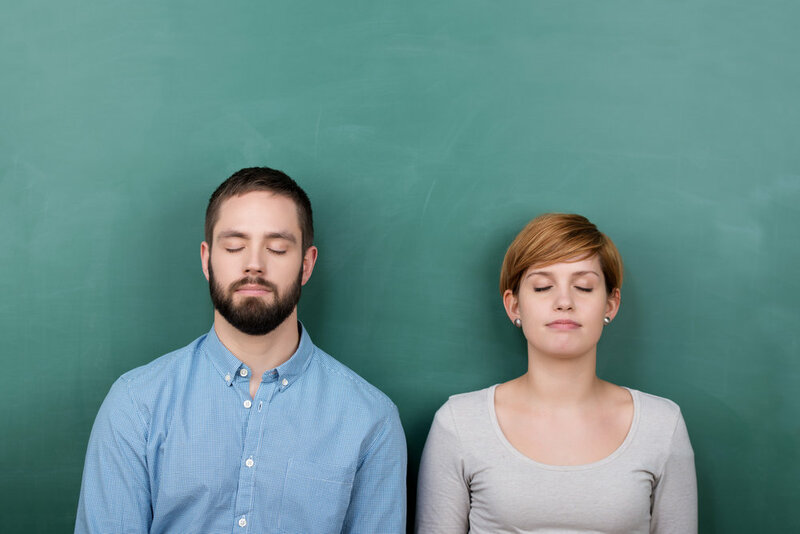 After establishing a basis in the fundamentals, participants then explore how mindfulness exercises can be implemented for the benefit of students. We read and discuss excerpts from Mindfulness for Teachers: Simple Skills for Peace and Productivity in the Classroom by Dr. Patricia Jennings. Dr. Jennings is one of the developers of the CARE for Teachers program (Cultivating Awareness and Resilience in Education) and lead researcher of a recent study that found evidence to show that reducing teacher stress improves student learning. We also share books and resources to help educators build a mindfulness “toolbox” designed for their particular needs. The course is presented over a single semester in 12 weekly 90-minute sessions for a total of 18 classroom hours. Each course is led by two qualified instructors from the Mindful Teacher Foundation faculty and includes up to 18 participants—smaller groups ensure that each participant receives adequate attention and we have sufficient space to provide instruction. Mindfulness training can be an effective support for Social-Emotional Learning (SEL), restorative justice practices, and other initiatives that benefit from cultivating attention, self-awareness, interpersonal skills, active listening, and working with challenging thoughts and emotions.